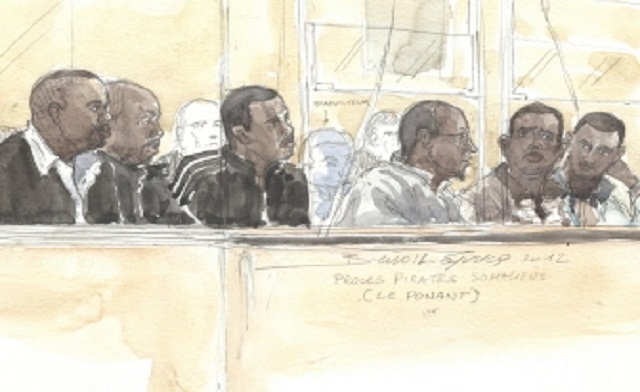 After four years of provisional detention, six Somalis faced a jury trial in Paris this month for the hijacking of the French luxury yacht Le Ponant in the Gulf of Aden, in 2008. They were tried for holding the 30 crew members as hostages in exchange for a 2.15 million euros ransom. The six men were arrested a week after the hijacking while driving in Somalia territory. When arrested by the French Military, they were carrying $200,000 believed to be part of the ransom. The convictions and sentences were delivered on Thursday last week. Two of the accused were acquitted by the Court, while the four others were convicted and sentenced to four to ten years of imprisonment. The six men were charged with kidnapping, illegal confinement and organized gang theft but not with a specific offence of piracy. The legal qualification chosen by the Prosecution and the Investigating Judge in this case is due to the absence, in 2008, of a specific definition of piracy in the French Penal Code. Since 1825, France had a law criminalizing piracy but it was obsolete and did not reflect the definition adopted by the Montego Bay Convention. This Law was thus abolished in 2007 and only replaced by new Piracy legislation on 7 January 2011. Despite the legal lacunae from 2008 until 2011, the existing offences of kidnapping, illegal confinement or the offence of seizing or taking control of a ship by force or threat of violence (see article 224-6 of the Criminal Code) largely covered the legislative gap. The new legislation does not substantially change this approach as it does not create an independent offence of Piracy but merely refers to existing crimes in the Criminal Code that could qualify as Piracy as defined by the Montego Bay Convention (See Report from the French Senate – in French). During the trial, five of the six accused claimed their innocence. Only one admitted his participation in the operation and his presence on the yacht. 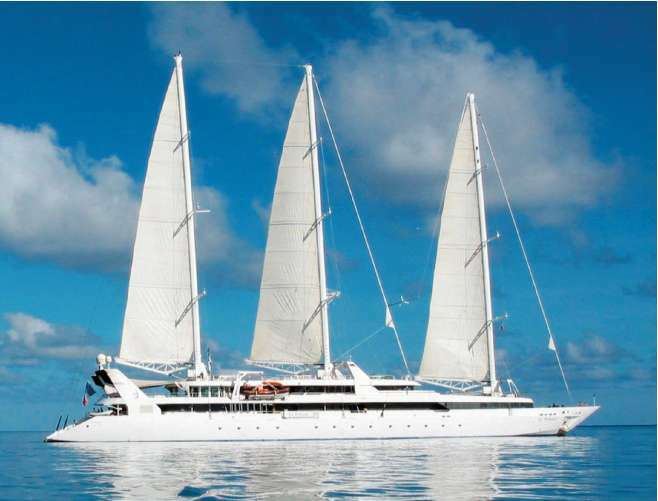 Two accused admitted being on Le Ponant but only as sellers and three claimed that they were never pirates or having ever boarded the yacht. Although the accused were identified by the crew four years ago, with time passing doubts arose concerning identification and some of the crew members changed their initial statements. The captain of the yacht confirmed at Trial his initial statement but recognized that the identification of the pirates after four years is today impossible. The weakness of the eyewitness identification and the absence of forensic evidence linking the accused to the yacht, lead the Prosecution to rely almost exclusively on circumstantial evidence. The six men were not arrested on board of the yacht but a week later, during an armed operation conducted by French forces, while traveling by car on Somali territory. They were arrested carrying $200,000 believed to be part of the ransom. Establishing whether or not the accused were ever on the yacht, appeared to be the real evidentiary challenge in the case. The Accused benefited from these doubts and, while the motivations of the verdict are not immediately available, this almost certainly explains the acquittals with respect to the two accused that firmly denied their participation in the crimes. The convictions and sentences imposed by the Court also appear to mirror the accused admissions as their role in the operation during the investigation and at Trial. This shows that it is probably their own admissions that lead the jury to believe that they were guilty rather than the evidence presented by the Prosecution. The Prosecution requested sentences ranging from 10 to 15 years imprisonment but the Court did not follow this approach acquitting two accused, convicting one to ten years, two to seven years and the last one to four years of imprisonment for complicity. This latter only acknowledged driving the car and, presumably should be released with the two acquitted persons as he has already spent four years on provisional detention. Parties have ten days to appeal the judgement but the six Somalis seem generally satisfied with the outcome and only the Prosecution might file an appeal. It is highly possible as the Prosecution wants this case to be an example and a warning for the Somalis still actively implicated in piracy in the Gulf of Aden. Indeed, because it considered the sentences to be too lenient, the Prosecution already appealed last year the Judgement that jailed five Somalis pirates between four and eight years for hijacking the yacht Carréd’As in the Gulf of Aden in September 2008. The appeal trial is still pending. Four years of provisional detention prior to trial is significant, in particular when a trial concludes with two acquittals. The acquitted men are Somalis being transferred to France for the purpose of the Trial, thus placing them in an isolated and fragile situation. They are now recognized as not guilty and are set free but in an unfamiliar country with no money, no papers and their lawyers as only assistance (See “Abdulkader, «pirate» somalien naufragé dans les rues de Paris”). French authorities appear to repeat the tragic story of the only man acquitted at the first piracy trial (See previous CHO Blog post “Acquitted of Piracy, lost in Paris”). This emphasized one of the down sides of extraterritorial trials. Finally it should be noted that there are two more piracy trials coming up in France where the accused are already provisionally detained in France. The first one involves three Somalis arrested while hijacking another French yacht, the Tanit in 2009 and the second one involves the trial of seven men accused of the attack in September 2011 of a catamaran where a French citizen was killed. The latter should be tried based on the new piracy law that appears to be passed to address the unforeseen burgeoning of Somali piracy in the Gulf of Aden.